Which website to use when choosing local US flights? Could you recommend a good website that allows comparing prices across different airlines for local US flights? I have been using Kayak for a long time but I am wondering if there is a resource for flights within the US which gives more choice and/or cheaper options. 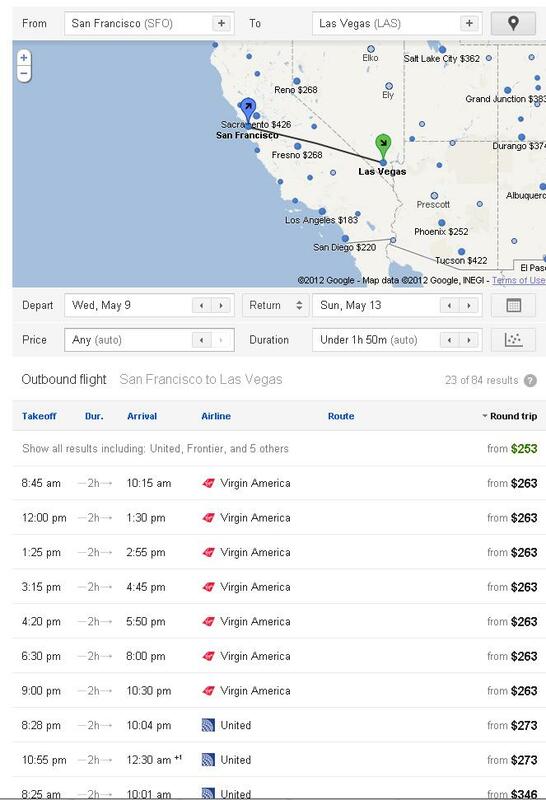 Kayak performs very well for advertised rates, so does OnCheapAir. You can use Hotwire/Priceline for bidding blindly (you give a day and a price, and you may get a flight on that day for that price, but you don't know at what time). Orbitz and Expedia provide good deals on packages. Some airlines don't allow external bookings (like Southwest), so you have to go through them to search for their flights. Google has just released "Google Flight" service last month ( Mar 2012 ). Not the answer you're looking for? Browse other questions tagged air-travel usa online-resources or ask your own question. When do companies usually release flights?